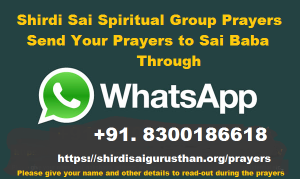 Your prayers to SHIRDI SAI BABA : Prayer List for Shirdi Sai Spiritual Group Prayers on Thursday after Dhoop Aarati – 18:30 hrs on 27th October 2016. Prayer List for Shirdi Sai Spiritual Group Prayers on Thursday after Dhoop Aarati – 18:30 hrs on 27th October 2016. 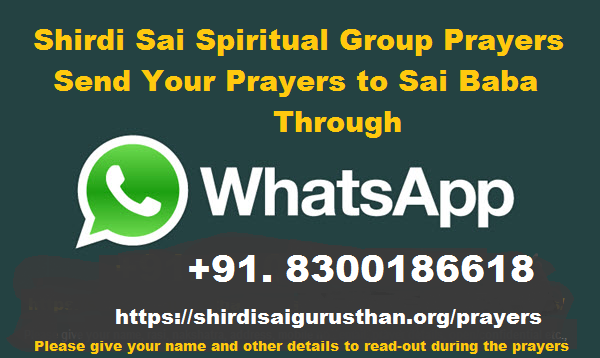 All prayer requests received from online, Whatsapp, Prayer Request Drop Box at Mandir up to Madhyan AArati will be placed under Baba's Lotus Feet after Dhoop Aarati and all devotees present at Mandir will pray for you. We request Sai devotees all over the world to pray for our Sai Brothers and Sisters and ask Shirdi Sai Baba to accomplish all their wishes and desires as soon as possible. We are having financial problems from last 20 years it making us to to lost faith in god. Om sai ram..please baba its been 3 years im suffering ..eventough im taking udi and praying no improvement..please baba forgive me and guide me give me some power to survive and i just want to be helpful to my parents..please baba..
Sai g please bless me with happy married life. Sai g u know that my marriage is going to be held on 26Oct. 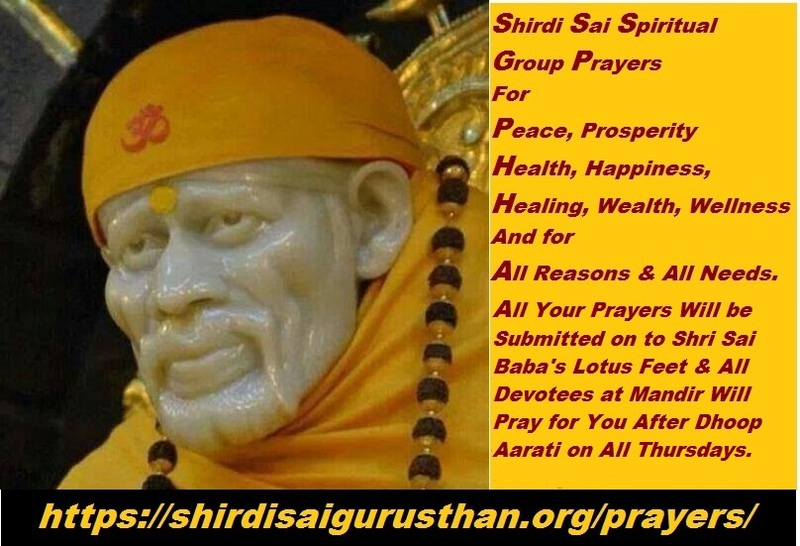 Sai g please come in my marriage and blessed me and my Husband. 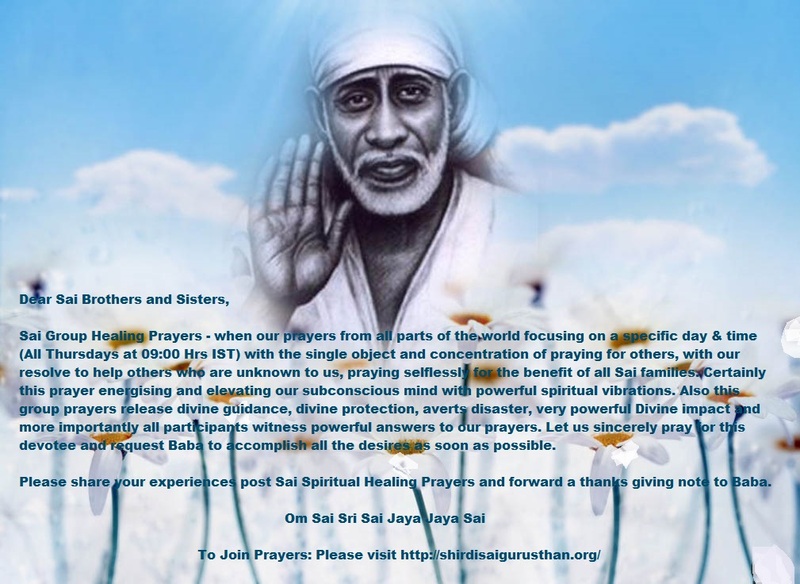 Sai g give me wisdom so that I donot do anything wrong to any body. Baba, please help me get through this difficult phase of life. Forgive all my sins and guide me through each step in life.